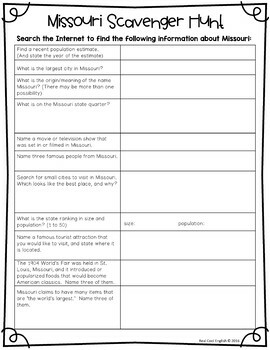 Discover Missouri with this activity packet! 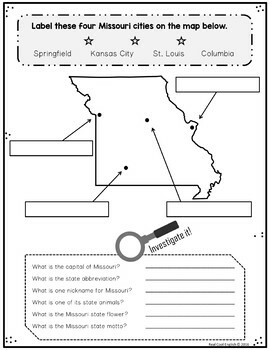 Students can learn more about their own state or discover another state. 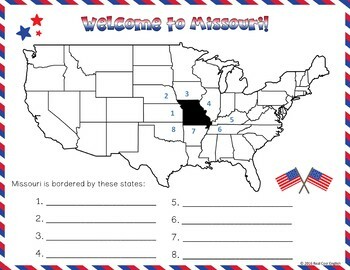 This is also a great way for adult ESL students to learn more about this new country they call home! 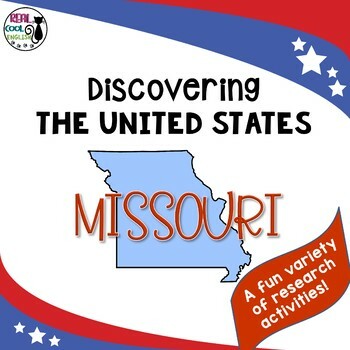 A U.S. map that highlights Missouri and shows bordering states for the students to identify and label. 3/19 Update: New graphics and now includes a digital option using Google Slides.